The wet conditions and slippery surface were the main headlines before the final race of the season kicked off. The Aughagower laps circuit was the route for the final round, which been a quite technical course posed problems for the riders considering the conditions. Luckily enough there was a great showing of marshals on hand to insure everyone got through the course and home safely. The race started off with a group of 4 leading the way out the Leenaune road before the heavyweights in the following two groups were released. Following a brave effort from the front group, the stratch group caught up on the final lap and showed their power to push on towards the finish. The winner was never in doubt when Ben Walsh crossed the finish line with Richard Meaney and Joe Moran rounding out the top 3. Joe took the 2018 title after a great season’s racing, hard work paying off throughout the year. Massive thanks to all of our marshals and drivers. It wasn’t the best evening to be out and your presence was greatly appreciated. The next round of the Covey League takes place on Wednesday next, 15th August. Sign on at the skate park from 18:00-18:40. First group off at 18:45, please arrive on time. The route starts on the Leenane road, turns right at Ashleigh Falls, turns right again in Doolough to finish on the Sheaffrey climb. 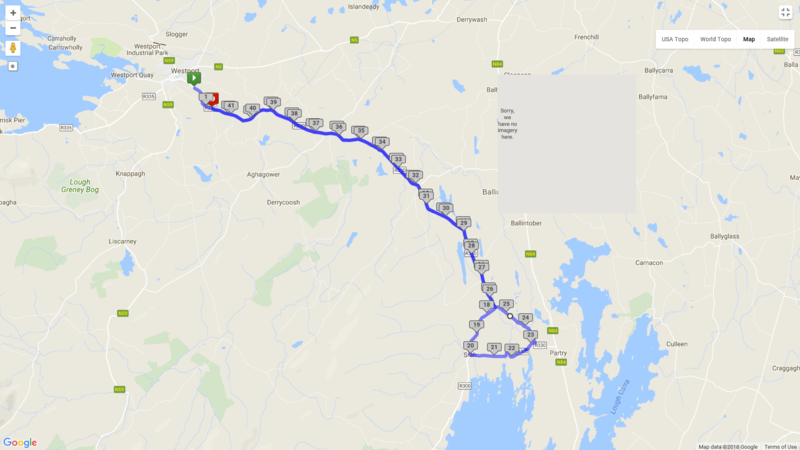 Route map is attached below (approx. 45km). There are plenty of people still in contention to win this league, so lots still left to race for. We have had a load of racers promoted since the previous round so the groups could be in for a shake up too! Declan Gallagher and Joe Moran take joint leadership of the Covey league after round 4. Winner in the previous round Padraic Furlong remains in the hunt in third place, one point behind the leaders. All still to play for with one round left. Wednesday 20th of June sees the next round of the Covey League take place. Sign on is from 18.00-18.30 at the train station with 1st group off at 18:45. Any late arrivals can slot into the scratch group. 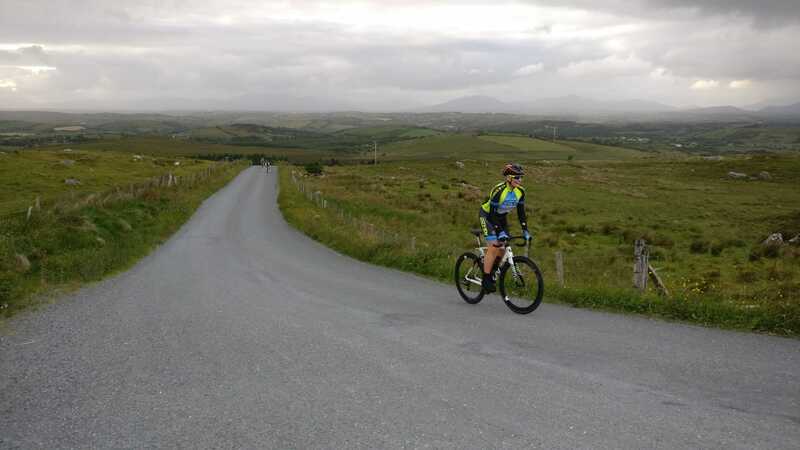 The race is similar to last time out in that it starts at the train station and takes in a loop of the Srah course, before turning left at Ayle towards Aughagower and finishing on top of Coilleach. This race is sure to shake up the GC in the league even more than previous rounds with the later groups expected to challenge for the win for the 1st time. Also remember, as this is a race, outside assistance whether from a vehicle or non racing cyclist is not permitted and will lead to penalties if it occurs and is reported in this race. 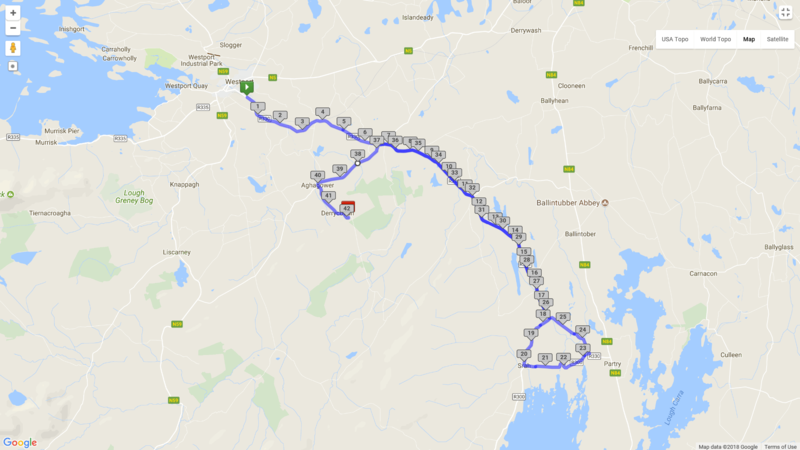 Route : Approx 42 km with a little sting in the tail. After Round 3 of the 2018 Covey League Padraic Furlong leads the way. Starting in the first group on the road he kept enough strength in the legs to power home for a strong finish. Aaron Doherty drops to 7th after missing out this week, showing just how things can change in only one round. The next race in the Covey League takes place this coming Thursday 17th May. The route is Srah Loop, starting from the train station. Sign on at the train station from 18:00-18:30, 1st group off at 18:45. If you are available to marshal or can provide one please do so. The Covey League is well underway now with two rounds under our belts, Aaron Doherty showing his class leading the way with the pack nice and close behind. Noel Kelly took the chequered flag in round 2 with a great hill sprint to take the win after working hard within the first group off to keep the chasing packs at a distance. *** 10 points for all racers. *** 10 points for all volunteers. Groups will be kept small to encourage cooperation among the riders. For the 2018 league 5 rounds will be counted towards your total score including the TT, so 4 road races will be counted. If you marshal the 5th road race you will get 10 points added to your score. Details of other races will follow. The Winner of each group gets promoted to group above for next race. Two 2nd place finishes in your group gets you promoted for next race. Wear race number on back of jersey which must be visible. If you have a frame number please attach it to your seatpost. Licence must be presented at sign on for your 1st race. We are looking for volunteers for all rounds so if you are available. Wear race number on back of jersey/seatpost which must be visible. License must be presented at sign on for your 1st race. Failure to obey the rules of the road will result in elimination. Marshals instructions must be obeyed. Bikes must be in good working order. No TT bars or TimeTrial bikes (apart from round 1). Winner to submit race report to club e mail.